Confirmation is an amazing gift the Lord has given us. We look forward to sharing this blessing with your child. We ask that you and your child choose a local sponsor to walk your child through this journey. 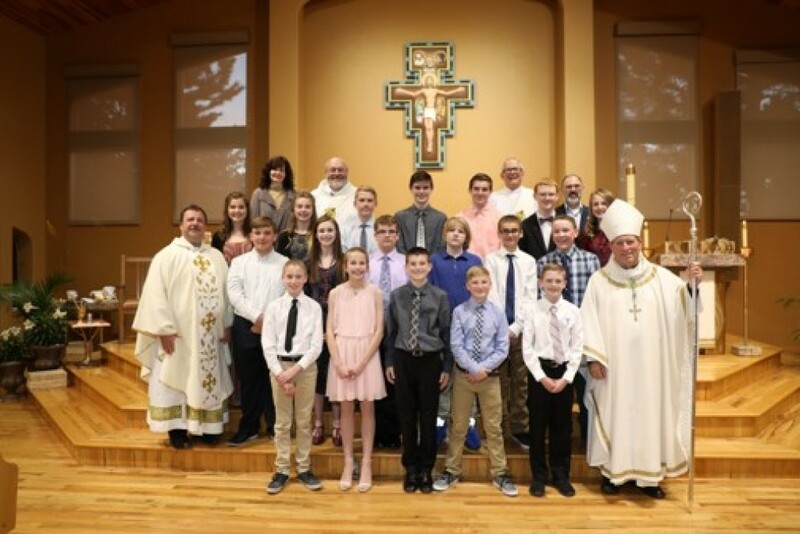 Confirmation Faith Formation Classes begin Wednesday, September 19, 2018. Classes are held Wednesdays from 6:15-7:45 PM for 7th graders. Resources for parents and sponsors. Please feel free to contact the office at olbh@olbh.org or 605.787.5168 for more information. Sponsors may not be the parents of the child. Sponsors must be confirmed Catholics in good standing and at least 16 years of age (Canon 893). Non-Catholics may never be sponsors. Must be local to attend regular meetings and events with the candidate.